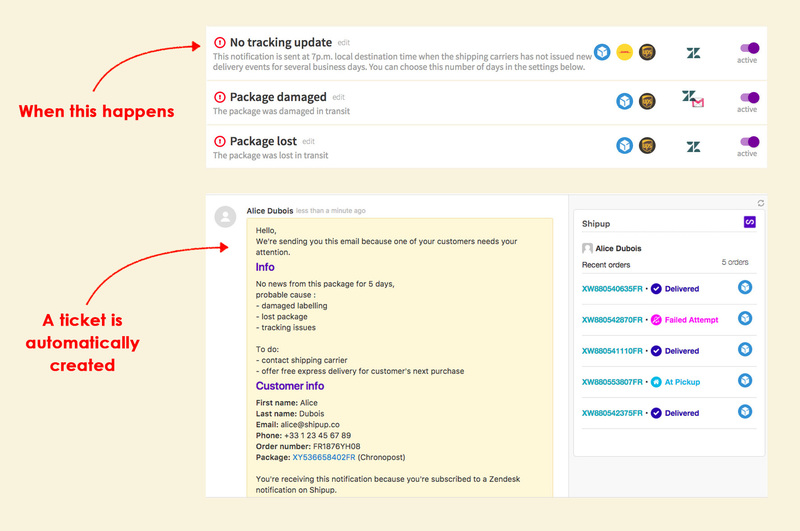 Generating shipping alerts in Zendesk will enable you to have more visibility towards the issues your customers' packages encounter. Your customer service will be able to deal proactively with the issues and will become hyper efficient. To do this procedure, you need to have installed the Zendesk app on Shipup.